Road accidents and the huge volume of vehicles plying the streets on a daily basis are some of the causes for the heavy traffic situation in Manila. It is important that all drivers be reminded of the safety measures and practice on how to drive responsibly. Around the world, road accidents claim the lives of an estimated 1.3 million people yearly, prompting experts to consider this as a public health and development crisis that is more fatal than malaria. Further, statistics from the World Health Organization (WHO) show that 90% of the deaths caused by road accidents occur in low- and middle-income countries, even if these countries only account for 50% of the world’s total vehicles. Here in the Philippines, statistics from the Metropolitan Manila Development Authority (MMDA) and the Philippine National Police-Highway Patrol Group (PNP-HPG) reveal that a total of 1,833 persons were killed, while almost 29,000 people were injured in the 85,820 road accidents that were recorded in 2011. In relation to this, road accidents have also been ranked by the Department of Health (DoH) as the 4th top cause of death in the country, next to heart disease, leukemia and cancer. 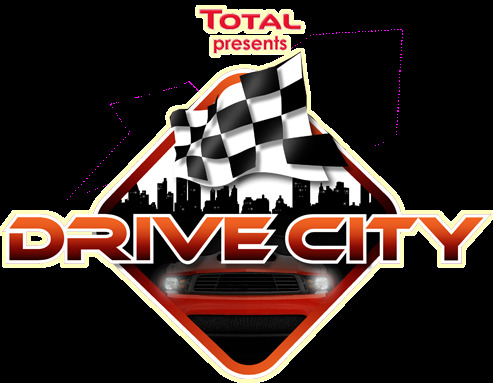 As part of its campaign for road safety in the country, Total (Philippines) Corporation is launching Drive City, the country’s first live traffic driving competition in the streets of Metro Manila based on driver’s style, strategy, safety and skills. Interested participants must form a team of two (2) – driver and navigator. Both team members should be able to drive and navigate. on how to join, click here. Drive City participants get to prove their street smarts by showcasing how to weave through traffic and how to get from one point to another without breaking any traffic rules along the whole stretch of the Epifanio Delos Santos Avenue (EDSA). Each driver will be given a base point of 100; deductions will be made for every violation committed. The goal is to be able to reach one pit stop after another—where they should complete specific tasks—without breaking any road rules. The driver with the most number of points at the end of the competition wins. “Driving like a pro means driving safely. So we encourage every Filipino driver to conquer the streets of Metro Manila, one traffic sign at a time,” says Espina. Drive City is supported by the Metropolitan Manila Development Authority (MMDA) and the Philippine National Police-Highway Patrol Group (PNP-HPG) along with the following partners and sponsors: Automobile Association of the Philippines (AAP), Chamber of Automotive Manufacturers of the Philippines, Inc. (CAMPI), Safety Organization of the Philippines, Inc. (SOPI), Autohub, Nissan Motor Philippines, Inc. (NMPI), Smart Driving School and Kotse.com.